� TRUSTED TRACTION: Vibram� TC5+ outsole delivers traction on any surface. � DURABLE MATERIALS: Waterproof leather and ripstop uppers are built to stand up to the toughest jobs. � EASY ENTRY: Durable side zipper for easy on and off and a bellows tongue to keep out debris. Upper Waterproof PU coated leather and ripstop textile with M-Select� DRY waterproof membrane. Stability arms with spray rubber for added security and durability. Footbed KINETIC FIT� footbed with added zonal arch support and heel cushioning. 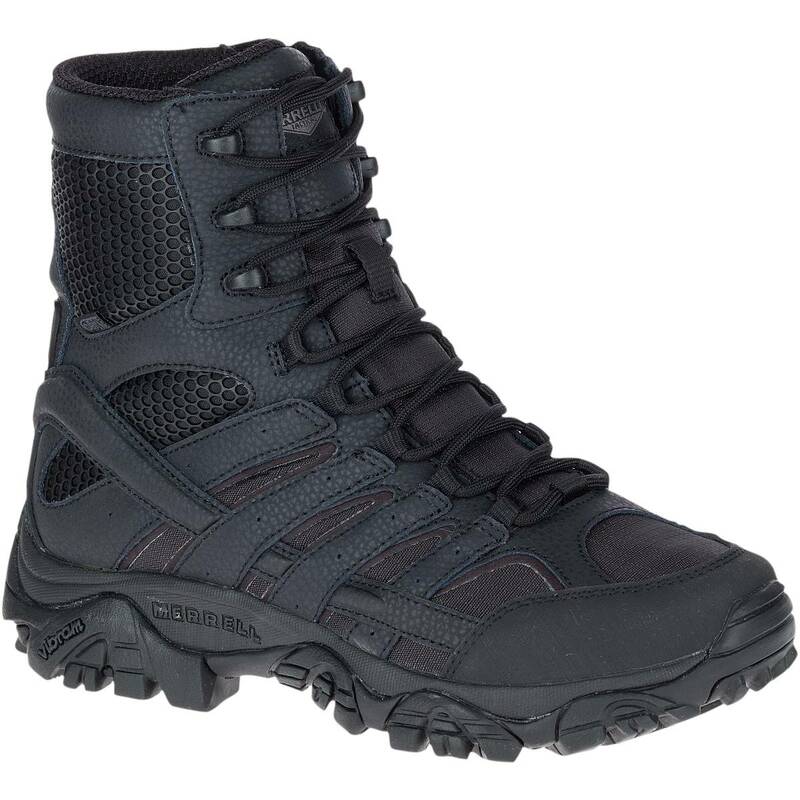 Outsole Vibram� TC5+ outsole for durable traction in any environment.